QAP Work Coach 037 on the Frisco scrap track at Springfield, Missouri on August 5, 1962 (Arthur B. Johnson). 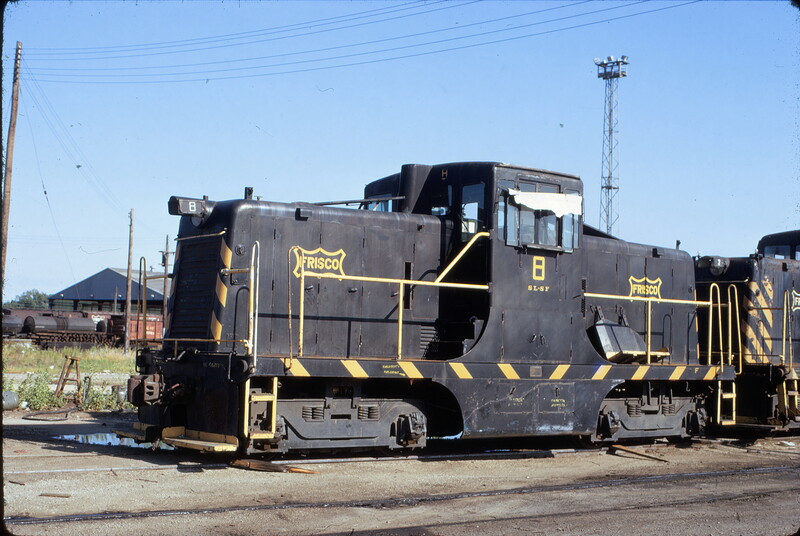 U30B 842 (date and location unknown) in April 1970. 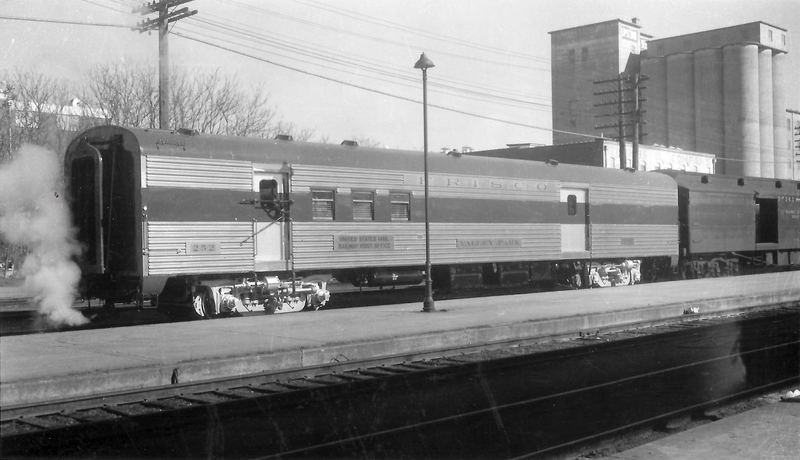 Railway Post Office 252, “Valley Park” at Springfield, Missouri on January 31, 1960 (Arthur B. Johnson). 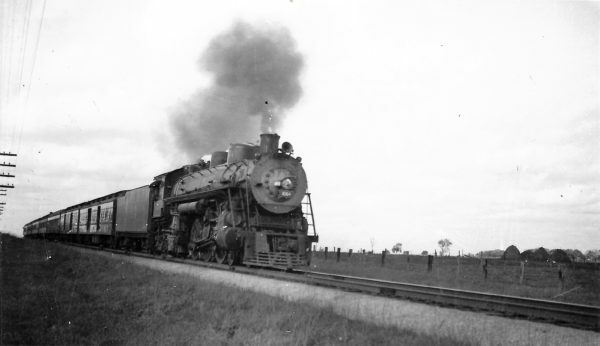 4-6-4 1064 with Train #6 four miles east of Springfield, Missouri on September 10, 1949 (Arthur B. Johnson). 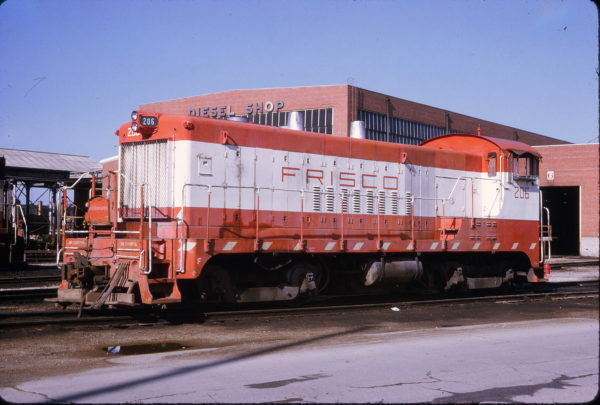 Caboose 1240 at Tulsa, Oklahoma in August 1980 (Don Heiberger). 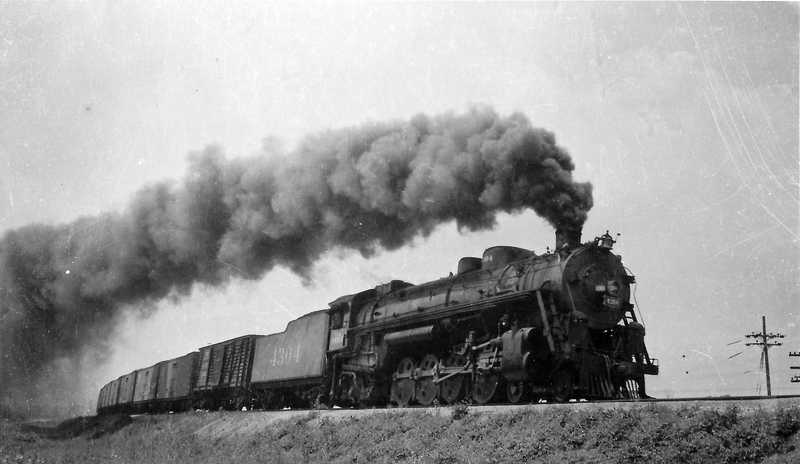 Frisco-built 4-8-2 4304 leaving St. Louis, Missouri on April 30, 1940 (Arthur B. Johnson). 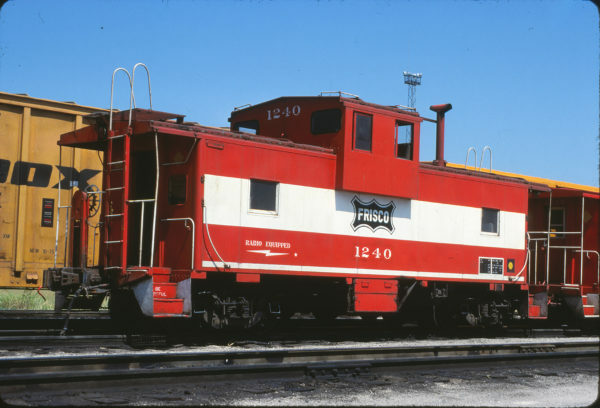 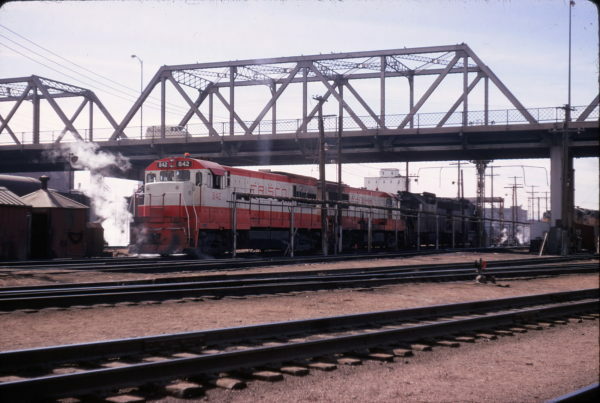 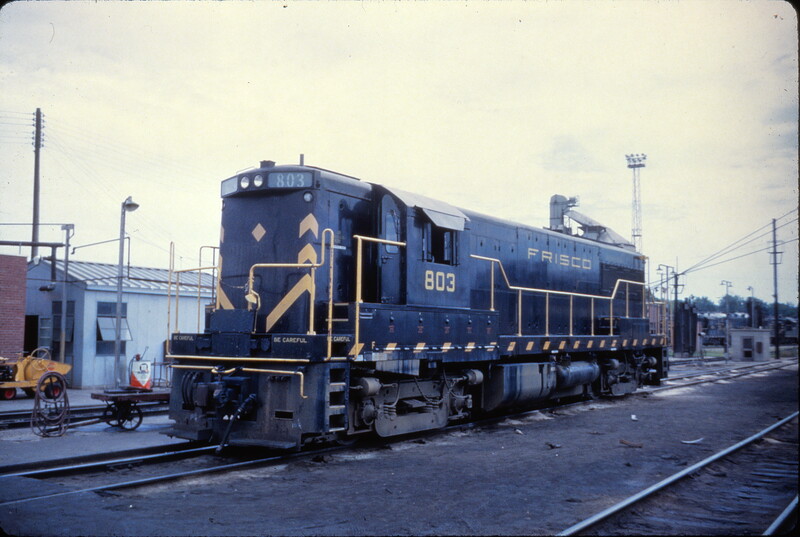 GE 44 Ton Switcher 8 at Tulsa, Oklahoma on June 20, 1972 (T. Chenoweth). 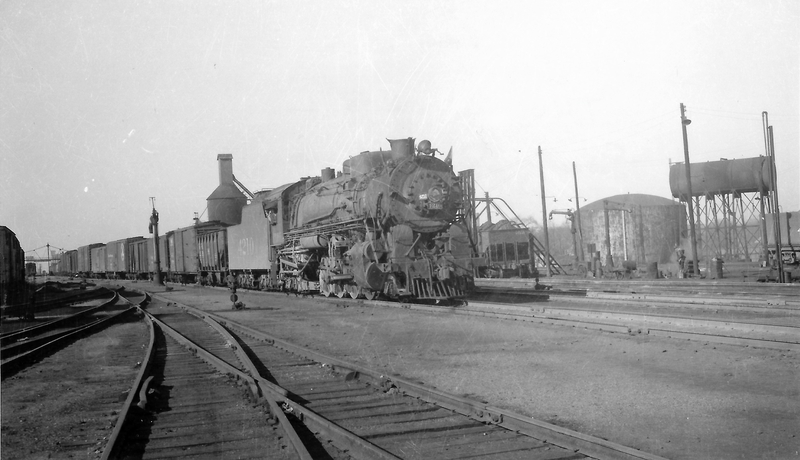 2-8-2 4210 leaving Springfield, Missouri with a freight extra on November 25, 1948 (Arthur B. Johnson). 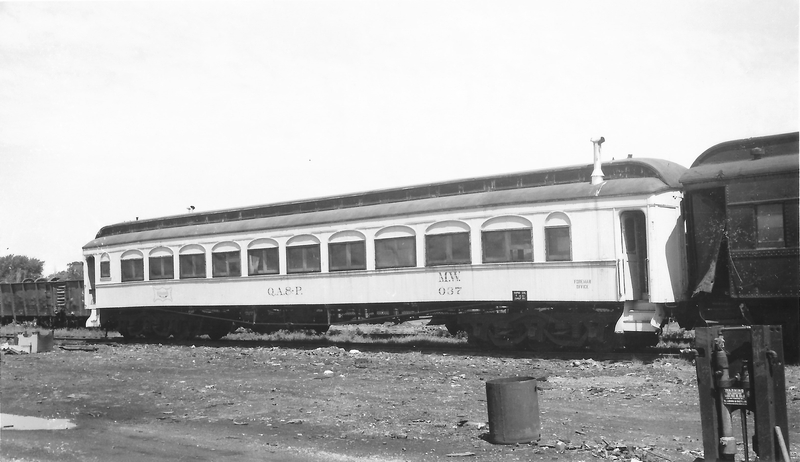 U25B 803 (date and location unknown) (Al Chione).